Its rather easy to get caught up in “the system”, also known commonly as the matrix, and we kid you not… it will bring you down. This is why we’ve put this list together. To expose some of the common traits that happens to people who live in urban jungle. Thank you for reading, we sincerely hope this is helpful! It doesn’t take much to be a spiritual person. Being spiritual really just means putting the emotional and psychological needs of yourself and others, ahead of the material and physical qualities of the world. Being spiritual is about showing compassion and helping others versus a continuous self-serving rhetoric that puts others down, while it catapults you to the top. Being spiritual is about being selfless in material gain and selfish in soul progression. But, when we lose sight of this our energy turns towards these material illusions that can lead us down a path of greed, jealousy and envy all of which lower our vibrational energy. Because the power of our thoughts are so potent, the energy that accompanies them then radiates from our being like sounds waves. Quite literally, what we think holds its own vibrational frequency and when we align ourselves to what is true to our soul, we find peace, acceptance and harmony in our existence. 6. You worry too much. The best way to describe your higher self in this circumstance is to think of yourself as a child with hopes, dreams, creativity and all of the confidence in the world. When we are young our worlds seem small, and yet our imaginations are ten times greater. When we grow older, our worlds have grown bigger and the opposite for our imaginations. Your higher self knows that you have purpose, your dreams are important and your mind matters. Don’t sell yourself short, you are just as valuable as the next. Thing big, dream bigger. 4. You hold onto things too long. At the fabric of our being we find energy and energy is always in a constant state of vibration. That is to say, energy is always in a state of flux. So should we be. We can allow our minds time to process, this is healthy however, when we get stuck on things and can’t let go of them, they become weights that we carry around. Not to get me wrong, I get it. Life can throw us some hard balls, and even more curve balls when we aren’t expecting it. Allow yourself time to process and time to feel. Feeling all of the emotions that we can really makes us feel alive. Embrace your sadness, celebrate your joys and then move on to the next. 3. You ignore your own needs. It’s easy to get stuck in repetitive energetic cycles which do not serve our higher good. Whether it’s a lifestyle, a job, or a relationship, when we fall into these cycles we feel trapped, all the while knowing it was time to get out a long time ago. Usually at this point emotions begin to stir just below the surface as your inner voice is being neglected. We have all experienced intuition in the form of what we call an inner voice, but the degree of intensity will vary dependent upon the level of ones consciousness. Known as a flash of insight, this natural instinct can go unnoticed if someone has been ignoring it for too long. But when we trust our intuition it allows us to be more consciously aware of situations and activities in our life. Never be hasty, always take a moment to listen to yourself, trust yourself, trust your heart. When we listen to our hearts, we are in tune with our intuition. 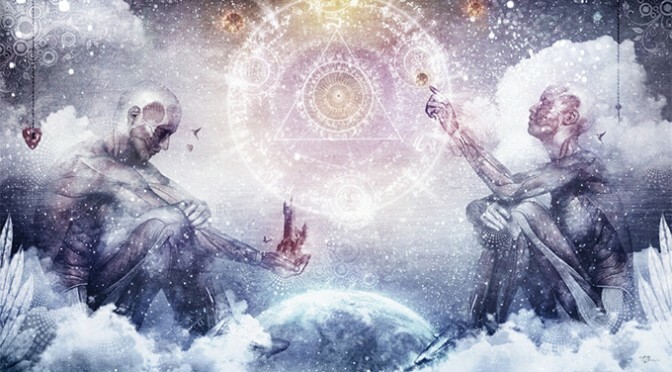 This connection reveals the once hidden truths about ourselves, and our current situations in life, allowing us the opportunity to stay in touch with our subconscious mind; releasing us from limitations and removing aspects of the restrictive ego. This then leads to tremendous growth, creativity and an evolution of conscious awareness. 1. You are stuck in the past. The only way to keep the past alive is to recycle the memory. When we recycle memories, we are unconsciously regenerating the old energy of these experiences, in order to “keep them alive” in our cells and when we do this, our ego then continues to feed off of the attachment. This repetitiveness causes our energetic body to become stagnant and stuck without forward progression. When you release the past, you raise your vibration and the old energy will die off allowing for new more positive energy to flow through. New energy brings change and change always brings new opportunities for growth and harmony.